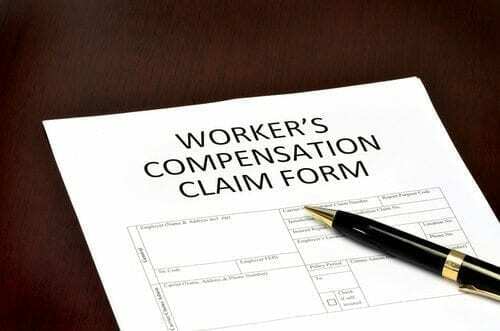 Being injured at work is a frightening experience, and what you do next has a significant impact on your ability to collect workers’ compensation benefits later on down the road. Make sure to avoid these critical mistakes that many employees make so you can have the best chance at obtaining the maximum benefits that may be available to you. Some employees are cautious about filling out an accident report. However, if you verbally tell your boss that you were hurt at work, there is no record of it. Also, failing to report your injury can be grounds to have your workers’ compensation claim denied. Don’t wait to get medical care after a work-related injury, even if the injury is minor. In fact, you should always go immediately to the doctor or the emergency room after an accident to be fully evaluated by a medical professional. Records are going to be extremely important in the upcoming days, weeks, and months after an accident. Therefore, keep copies of your accident report, your medical records, and any other details that are pertinent in your case. Often, an employer’s insurance company will offer a settlement right after the injury. An employee is tempted to accept the settlement because they are out of work and may need the money. However, the first settlement is usually far less than what the employee will actually need for his or her injuries now and in the future. Avoid accepting a settlement right away. Not only are accidents physically challenging, they can be emotionally and mentally devastating as well. Specifically, employees may suffer emotional anguish and post traumatic stress disorder after an accident. Under the law, these issues may also be compensable. It is a common misconception that you have to use the doctor your employer chooses. Instead, visit your regular doctor or a specialist for evaluation and treatment. Having a lawyer on your side after a work related accident is essential to protecting your rights to workers’ compensation benefits. Contact the Wanko Law Firm LLC today to learn more about your legal options by calling (985) 893-6530.